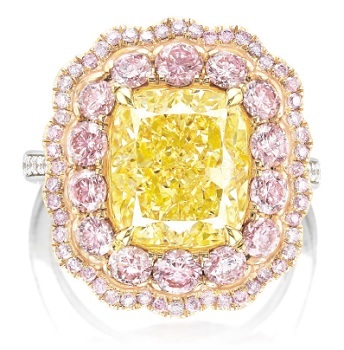 On May 28, Phillips Auction House Successfully Sells Argyle Pink Diamonds And A Graff Diamond at its Hong Kong auction, and it was quite a success for Fancy Color Diamonds. 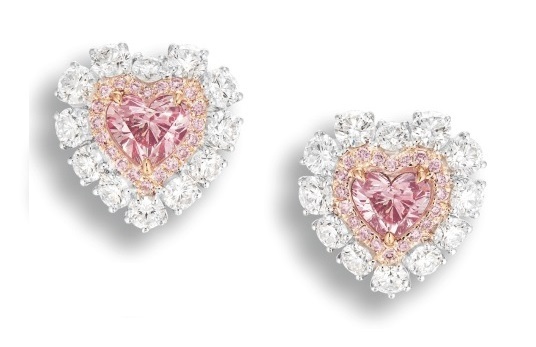 The Argyle Pink, Heart shape, Diamonds earrings were estimated to sell between HKD $2.6 million to HKD $3 million ended up selling for HKD $2.86 million ( about $368k total). Both pink diamonds are Argyle tender diamonds which are rarely seen at auction. 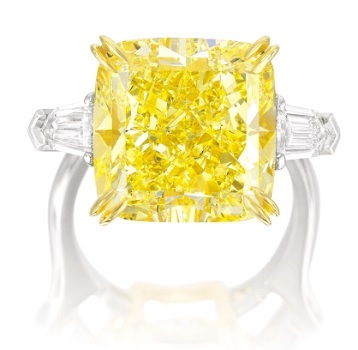 The 12.03 carat, Fancy yellow, by Graff was estimated at between $165k to $200k, ended up selling for a total of $257k, more than 20% above the high valuation. This further demonstrates the strength of a brand. The 5.87 carat, Fancy Yellow with Flawless clarity has been estimated to sell between $90k to $110k total, and ended up selling for about $100k total, within the valuation range. 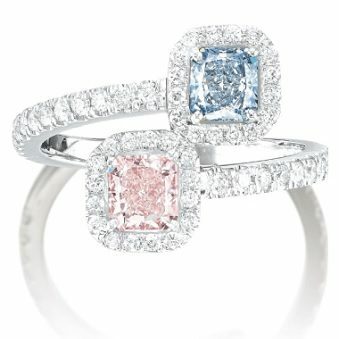 The last item that was of interest, the pink and blue diamond, was estimated to sell between $50k to $60k total, and ended up selling for $80k, or 30% above the high estimates. Investors walked out with a true value in their hands, and they should always enter the investment process thinking long term capital appreciation.